Check out this superb new online slots. 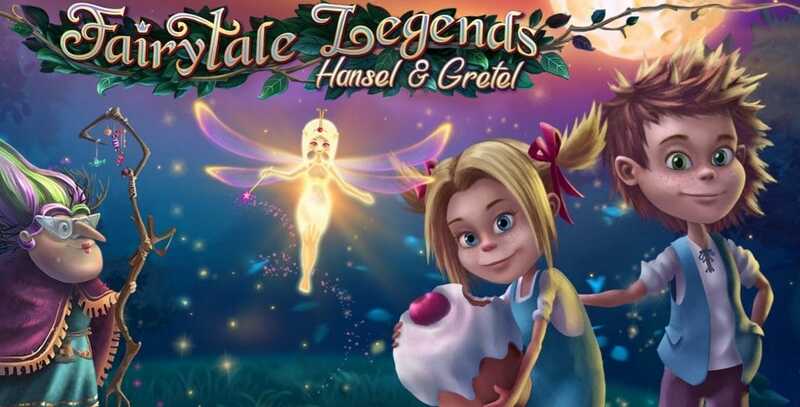 Hansel and Gretel is a story that has gripped generations across the world and inspired by this NetEnt have developed this visually stunning online slots games. It’s a real joy to play and has the added bonus of being able to deliver you rewards worthy of a fairytale at the end of it. NetEnt has rapidly become one of the most popular makers of high spec online slots. Formerly known as Net Entertainment, NetEnt are renowned for making online games that are as engaging and entertaining as they are rewarding. If you love promo's visit SlotsBaby today. Fairytale Legends: Hansel & Gretel is made up of 5 reels, 10-paylines, and unlike some similar games, players must play all 10 paylines. You can control your stake though with a wide range of coin values and you can bet between 1 and 10 coins per line. So it’s a good online slot option for high rollers and conservative players. In Fairytale Legends: Hansel & Gretel, the great thing is that your winning combinations don’t have to start from the first reel. Get 3 or more of the same symbol in a row at any point on a payline and you’ll start earning prizes. Talking of symbols you’ll find lots of Hansel & Gretal themed icons to get your hands on. 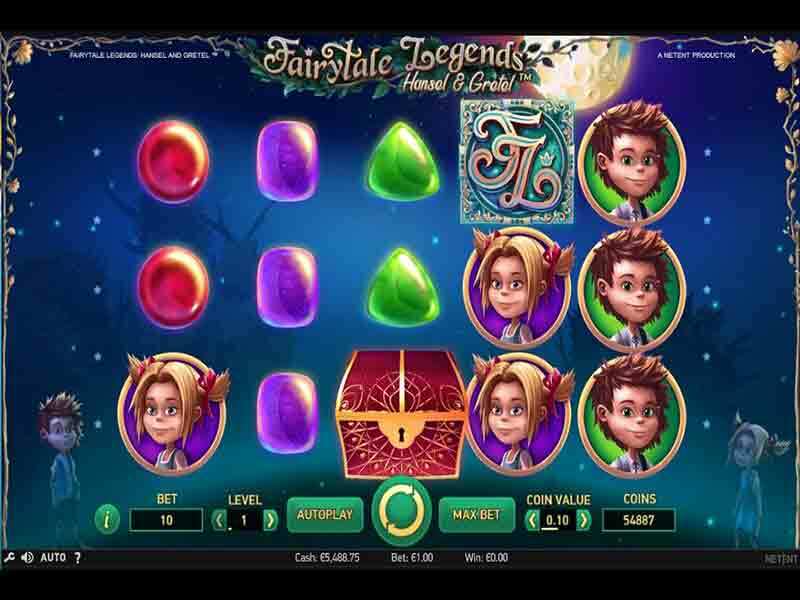 Little wins can be gained by matching different coloured candies and for bigger rewards try and secure Hansel and Gretal themselves or better still the game logo which will hand you 400 times your line bet. That’s where the standard symbols end really but the real action kicks in with the many added features and bonuses you’ll come across. It’s these features that bring lots of diversity to the gameplay. Look out for stacked wilds, when they appear they have the potential to cover a complete reel, if this happened you get paid for all the wins these wilds complete but in addition that wild column will be locked while you get a free re-spin. During spins keep your eyes peeled for these random effects courtesy of a very helpful fairy. Wonder Spin – If this feature takes hold you’ll see 5-9 game logo symbols added to the screen in one cluster which should bring you some good wins. Fairy Surprise – The Fairy Surprise is a very welcome one, here you will see a losing spin magically turn into a win as redundant symbols turn pleasingly into matching icons. Wild Spin - The Wild Spin is another awesome feature, it brings with it 2 reels fully stacked with wilds on the screen, plus you’ll enjoy another bonus re-spin. Treasure chest – The treasure chest symbol will also trigger some interesting features. Get three of these and you’ll get to choose your treasure in the form of one of three bonuses. The Candy House Bonus will allow you to choose 3 of 15 candies and then choose either the average of hidden prizes or just one of them. 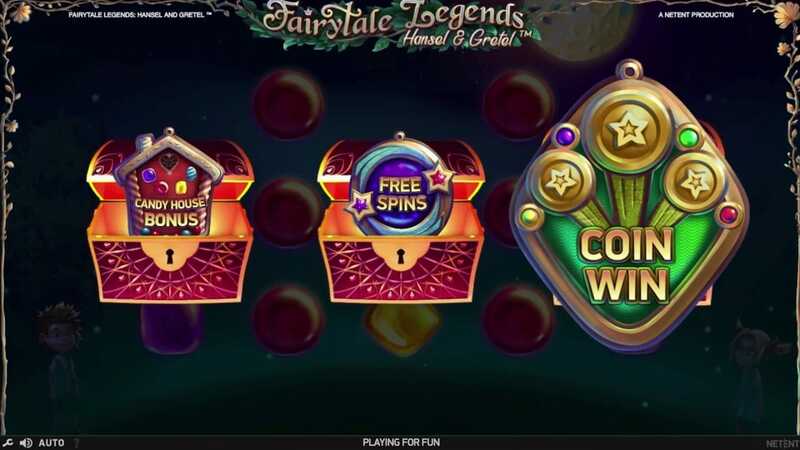 Alternatively, you could get the free spins round worth 10x free plays, or an instant Coin Win. The production values of this game are some of the best you will find in an online slot. The graphic detail, music, sounds and theme will really draw you into the world of Hansel and Gretal. Make sure you’re not distracted by it though, remember you’ve got some prizes to win! If you enjoyed Fairytale Legends: Hansel and Gretel then you might also like Foxin Wins Again.